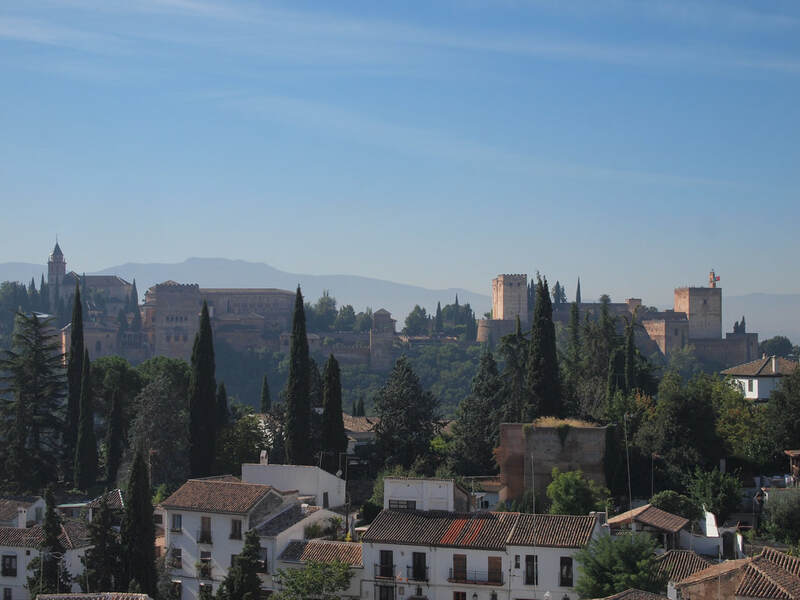 This beautiful house is located on the Mirador de la Rauda with views of the Alhambra. It is walking distance to the local Albaicin markets, shops, cafes, banks and schools. It has 2 floors and semi-basement, the basement floor has windows to the outside and natural lighting. There is a large bedroom of about 38 m2 in the semi-basement with a queen bed and lounge area but there is the possibility of adding another single or double bed. On the first floor there is a full bathroom and another bedroom with access to a small patio. On the top floor there is the kitchen and sunny living/dining room with a balcony and views. The house has car access and parking, reverse cycle air conditioning in all bedrooms and living room. Washing machine, dishwasher. €800 per month plus bills.